Marathon preparation. Currently defined as transforming myself from a hedgehog-type (slow, lethargic when it’s cold, likes to eat then sleep through dark nights and inconvenient weather) into something more resembling a tiger (powerful, fast, sleek. But maybe not as stripey). T #1 is fairly self-explanatory: I need to be able to run for 26 miles without collapsing and that involves a lot of physical exercise. I’m going for the cross-training approach, partly because it seems to be a sensible strategy to do different types of exercise to stave off boredom (mostly swimming, jogging, biking at the gym and going on the see-saw at the playground – harder than it sounds if it’s you at one end v a considerably lighter 3 or 5 year old at the other end! ), and partly because I’m really worried about injuring myself if I run too much too soon and not being able to do the marathon which would be a Bad Thing. T #2 is the positive mental attitude bit. Running the marathon is an immensely daunting prospect for me – the furthest I’ve run before is 10 miles (in the Great South Run) and that was 4 years ago, and you may be able to tell from my tone that I do not find running easy. However, there is no doubt in my mind that I WILL be fit enough to complete the race because I would be ashamed of myself forever more if I didn’t put in the training that I need to. The aspect of the marathon that is weighing on my mind more than the actual running (although that will come as the time draws closer!) is the fundraising. I so badly want to raise as much as I can for DebRA and not let any opportunity pass me by. If you can think of any clever fundraising plans, please send me a comment. And* if you know anyone who might be interested in reading my blog, or interviewing me, or donating to my fundraising page http://uk.virginmoneygiving.com/NickiClarkson please shout it to them from the rooftops. Twitter, Facebook, old-fashioned email, even older-fashioned phoning people, I would so appreciate anything you do. That brings me to T #3, which is of course tea. Lovely, lovely cups of tea. Well, I can’t be out running all the time, can’t I? I never used to drink tea but now my innate Britishness is pushing its way to the fore. 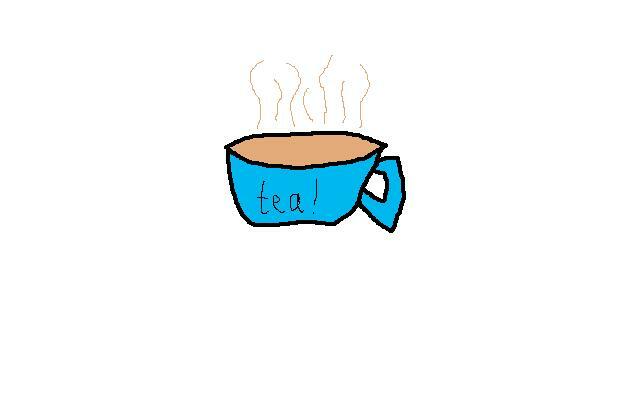 But* tea (or coffee) is more than a nice chance to sit down and do nothing for a few minutes, it’s social glue. It’s like a non-virtual (hang on, I think there’s a word for that) Facebook, a good excuse to invite people round or pop round to see them, or sit and chat with work colleagues (and maybe ask them to sponsor me). I like tea. Tea is good. *Mum, if you’re reading, I know one should not begin a sentence with And or But. But sometimes I think it works okay. This entry was posted in DebRA, Marathon, Training and tagged charity, debra, eb, fundraising, marathon, positive mental attitude, running, tea, training, twix. Bookmark the permalink.